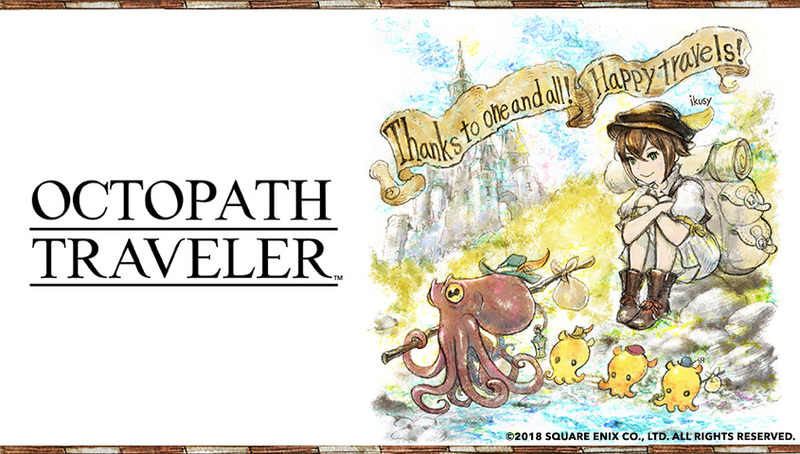 During Square Enix’s financial call in Japan, the company was asked several questions on its hit JRPG Octopath Traveler. Concerning the game’s sales, Octopath Traveler’s has sold more than its pre-sales forecast. Sales have also exceeded expectations in the US and Europe. The game also has a higher than average ratio of download version to packaged software sales. Square Enix was asked what they thought about the game’s success. The company believes it’s due to the increased appreciation of JRPG in recent years, game design that appeals to old Square Enix game fans, 2D-HD art style, and attractive characters. All these points happen to be things reviewers praise the game for. Finally, Square Enix confirmed that similar games to Octopath Traveler are in the works, and mentioned that the Switch is a good platform for middle range games. Octopath Traveler will remain a Nintendo Switch exclusive, and it’ll depend for future titles.